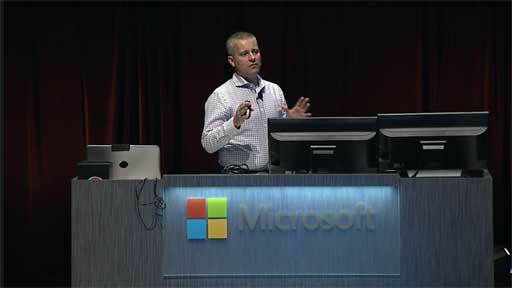 Microsoft BitLocker Administration and Monitoring 2.0: What's New? Microsoft BitLocker Administration and Monitoring enhances BitLocker by simplifying deployment and key recovery, providing centralized monitoring and reporting, and minimizing the costs related to managing an encrypted environment. Come join us to hear what we’ve learned from customers who have been deploying MBAM into production over the last year and how MBAM can help address your needs today. 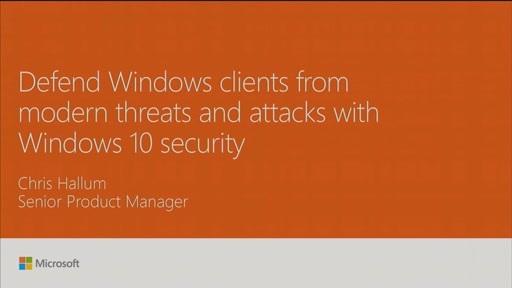 What's new in Windows 10 security? Raising your security bar with the Fall Creators Update! 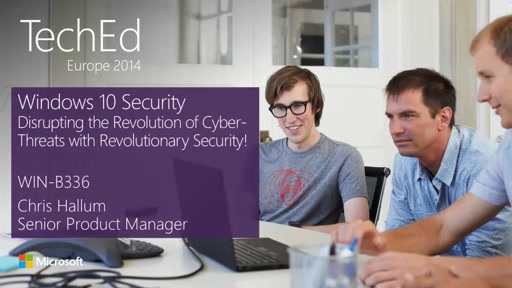 Windows 10: Disrupting the Revolution of Cyber-Threats with Revolutionary Security! 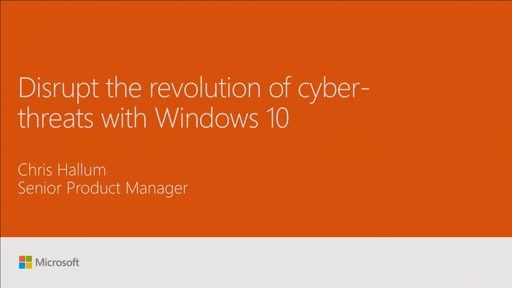 Windows 10: The End Game for Passwords and Credential Theft?